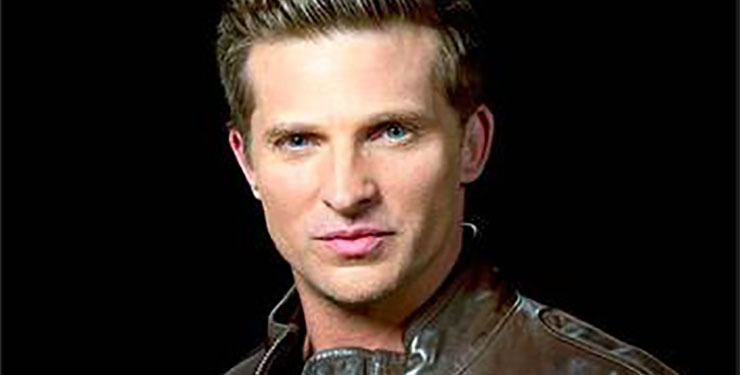 Steve Burton joined the long history of soap stars equivocating when faced with questions on his “The Young and the Restless” (Y&R) future. And it made us at Soap Cities very happy. Burton (Dylan McAvoy) live-Tweeted his final Y&R episode, answering questions posed by fans about a variety of topics. When one fan said she’d miss him on Y&R, Burton had some comforting, even exciting, words for her. In other Tweets he also expressed affection for his Y&R costars and for working ind daytime, which would also support the idea of a return to Genoa City one day. Burton’s answers to fan queries were generally brief, but many revealed fun facts about his time on Y&R and what his future holds. Scroll down to see the one mentioned above, and visit Burton’s account to see many others. Burton surprised “General Hospital” fans in 2012 he exited the role of Jason Morgan, one he played for 20 years. Soon after, surprise became shock, when he turned up on “The Young and the Restless.” There he played Nikki’s (Melody Thomas Scott) long-lost son and love interest of Sharon (Sharon Case) for the last four years. Losing his son, Christian, because of a classic soap baby switch, destroyed the doting father. Burton opted to leave Genoa City to pursue a business with GH alum Derk Cheetwood (Max Giambetti), a career coaching venture to guide aspiring actors through the pitfalls and pratfalls of a career in Hollywood. He also left to have more time with his family, which is based in Nashwille. He ain’t coming back folks! As long as Jill (JFP) is gone, he won’t be back! He was *her* baby, and he can’t live without her! I would like to see the preview come back at the end of the show. Thank You Please Fans help me out and put your thoughts on here also Thank you.